Today is the last day of the month. Anyone else feel like February lasted for ever? I’m not complaining because a lot of great things happened this month. Jason and I both hit a milestone at work and celebrated 10 years at our jobs, him on 2/20 and me on 3/3. Our middle daughter celebrated her 11th birthday and we had our 4 year wedding anniversary on Valentine’s Day. Ahhhh… the memories…lol! But is anyone else looking forward to March? I am! Daylight Saving begins on 3/11, St. Patrick’s Day on 3/17, First Day of Spring on 3/20, Palm Sunday 3/25 and Good Friday on 3/30… so many great things happening! If those holidays and calendar events weren’t enough to get your juices going then maybe today’s featured polish of the month (POTM) will do the trick! Inspired by aquamarine, the birthstone for March, Jenalyn, owner/creator of LynB Designs, created Aqua Marina. Let’s take a look! Hey Suga! I am so excited to finally be able to show today’s featured duo. Literally the swatches have been sitting on my phone for about a week. But before we get to the swatches, I thought a fun history lesson was appropriate to learn a little more about St. Patrick’s Day. Saint Patrick is the patron saint and national apostle of Ireland and is credited with bringing Christianity to Ireland. Saint Patrick’s Day has come to be associated with everything Irish: anything green and gold, shamrocks and luck. St. Patrick’s Day is celebrated on March 17th, the day that St. Patrick died. Since the holiday began in Ireland, it is believed that as the Irish spread out around the world, they took with them their history and celebrations. The biggest observance of all is, of course, in Ireland. With the exception of restaurants and pubs, almost all businesses close on March 17th. Being a religious holiday as well, many Irish attend mass, where March 17th is the traditional day for offering prayers for missionaries worldwide before the serious celebrating begins. Now that I’ve gotten you into the St. Patrick’s Day spirit, how about we see the new duo from Painted Polish?! The ‘St. Patrick’s Day Duo’ features two limited edition polishes; ‘Shamrock Your World’ and ‘Here to Paddy!’ The Duo launches Thursday March 1st at 6pm PST. I hope you’re still reading, because I have a secret. Use the code ‘40FREESHIP’ for Free Domestic Shipping on all orders over $40! For International orders, use the code ‘5OFF’ for $5 off all orders over $40! Promos end Sunday March 4th at midnight PST. This secret is too good to keep to myself, so pass it along! As an 80s baby, growing up in the 90’s was a piece of cake compared to what these kids today have to endure. We had better music, TV/cartoons, fashion, dance moves…you name it! Although my kids would beg to differ, I had it a lot better than they did…lol. In my day, we went outside to hang out with friends. None of this Snapchat or IG or Facebook. If you wanted to talk to someone, you picked up a land line, normally attached via a cord, and dialed 7, which turned into 10 numbers, you asked to speak to whomever and the conversation carried on from there. And don’t even get me started on music and tv! Seriously? Full House? Saved by the Bell? Fresh Prince of Bell Air? And who didn’t have a poster of their teen crush hanging from their wall, I sure did. But I guess as I would call the 90’s a decade to remember, my parents would say the same about theirs. My dad was born in the 50’s and my mom in the 60’s would surely debate their ‘good ole’ days’ against mine. Nevertheless, the 50s, 60’s, 70’s, 80’s and 90’s all had something special to offer and Crazy 4 Crellies and the Retro Rewind Lounge Facebook groups joined forces and are proud to present the March 2018 Retro Rewind Crelly Crate. This collab is all about the decades past, revisiting fond memories and making new ones through the power of polish. Good day, Suga! No matter what time it is or where you are, I do hope this post finds you well. Before we dig into today’s featured collection and custom, I have to share a bit of personal info. Yesterday, Jason and I went to Parent Night for incoming 6th graders. My baby, my oldest daughter and my middle child, Xylana just turned 11 on the 18th. I can’t believe in a very few short months, she will be leaving elementary school and entering the halls of middle school. I think I may be taking the entire month of September off just to deal. So I say all that to say, pray for me. Hey Suga! Today I have the upcoming, Ladies of Warcraft Collection from a ‘new to me’ brand, Twisting Nether Lacquer (TWL). TWL is a brand new indie nail company out of Lago Vista Texas. Kasi, brand owner and creator, has already to hit the ground running after years of experimenting and perfecting!! All the polishes are 5-Free (Dibutyl Phthalate, Formaldehyde, Methylene Glycol, Formaldehyde Resin, Camphor), Vegan, and Cruelty Free. You will notice most of the inspiration for the polishes come from my love for Sci-Fi, Fantasy, and Music. The featured collection is inspired by the game, World of Warcraft, which Kasi has played for a long time. “It’s a very beautiful place and gives me lots of inspiration,” says Kasi. Hey Suga! Today I have 2 of the newest polishes currently available from EA Polish, Queen and Never Give Up. 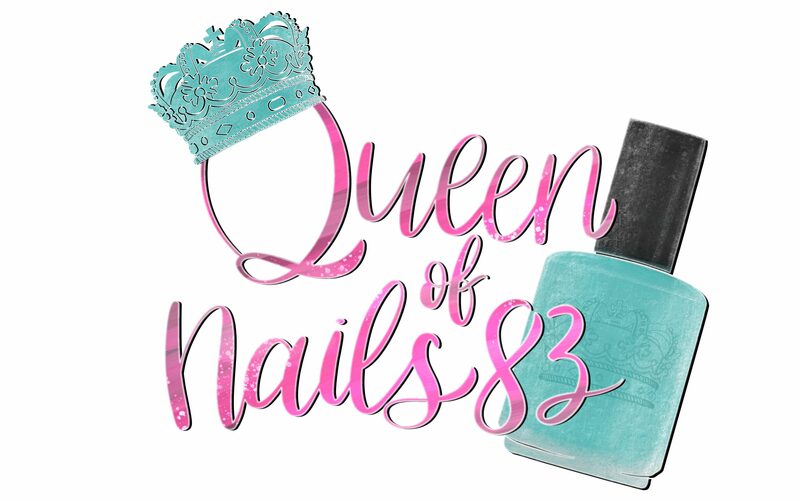 If you’re not familiar with this brand, I highly encourage you read my interview I did with brand owner, Ellyse and check a few more polishes I reviewed here, here and here. In addition, to sharing her amazing polishes, I have to spill the beans and let you know that I can also help you save 15% on your order. Here’s how! As a brand ambassador, I was given a special code to share with all my friends…that’s you! Use code KRYSX15 at check out and see the savings add up. IT’S THAT EASY!!! Now aren’t you glad you stopped by? Helping you save, is my middle name! Hey Suga! Happy Love Day to you and Happy Anniversary to me!! Today my hubby and I celebrate 4 years of marriage and it’s been the best 4 years of my life. And to think, it’s only the beginning. Today I have some of the newest polishes from Nail Social Nail Brand (NSNB), and #spoileralert, they are super cute!